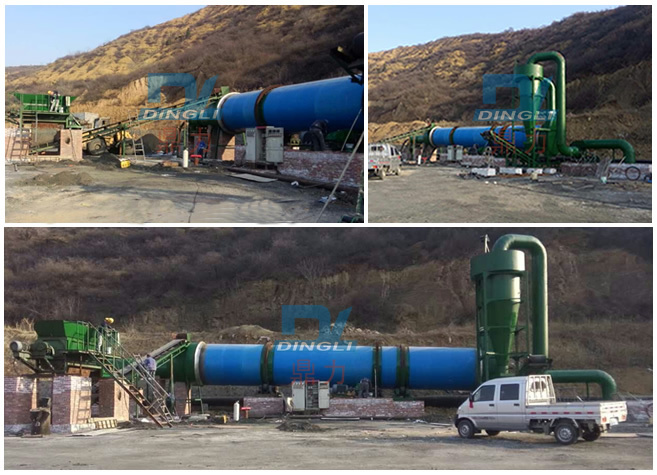 The 700 tons per day slime dryer has been put into operation built by Zhengzhou Dingli and Shanxi customers. The following is the pictures from the production site. Shanxi Slime dryer adopts the particular drying technology of our company. During the designing and producing progress, our company distinctively designed and produced the equipment based on the local material property and water needs so as to met the demand of the customers. The project has been completed for several days. The using of the equipment realized the comprehensive and high-efficiency usage of the sawdust resources after it is put into operation. The customers spoke highly of the equipment and working efficiency of our company. Our company will continue to provide the technical support to solve customers' problems.